Detailed engine detail of the 1990's 1900 American American motor boat, 690 mm long, with a wooden plated body of the Danish company Billing Boats. Kit in scatter on scale 1:15. In the early 50s Danish architect and former wartime RAF pilot Ejnar Billing exhibited a self-made model of a fishing boat in the window hobby store belonging to his wife. After the photo of the model appeared in a magazine, Mr. Billing overwhelmed in order to position dozens of pieces of the same model. Because it was not in his power so much to handle, it occurred to him that the boat will offer a kit - the first mass-produced kit with wooden frames with the keel, ribs and planking hull design mimicking the most real ship. This method of construction is quickly befriended by Mr billing models and began to conquer the world. In 1958, then founded the company bearing the family name still Billing Boats. 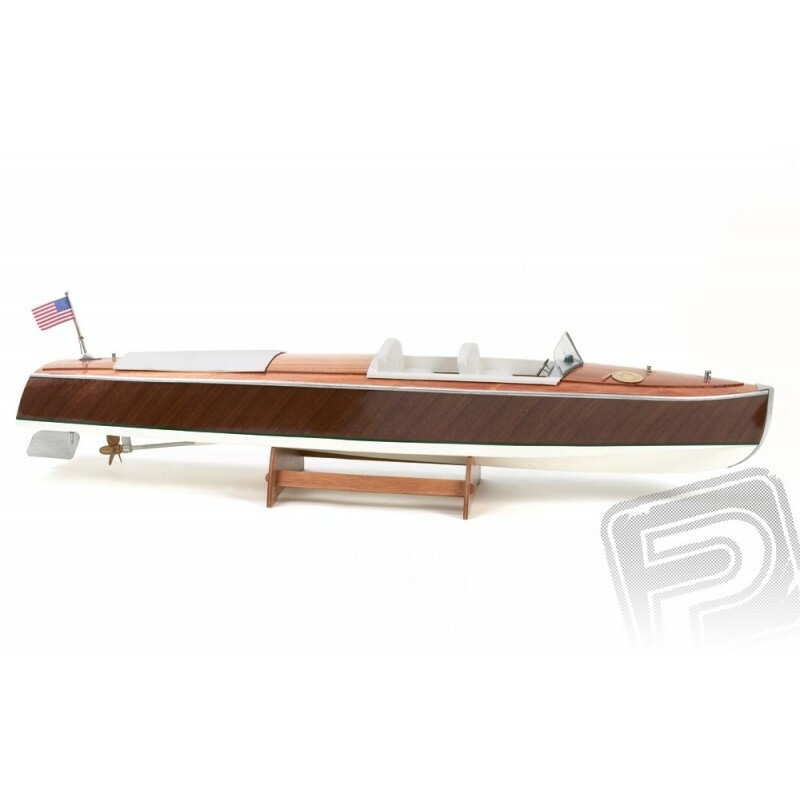 Over the years, the design perfected and upgraded models in the '60s introduced the use of plastic moldings hulls, then embarked on CNC machines at the turn of the 80s and 90s in Billing Boats started to benefit from laser cutting parts. 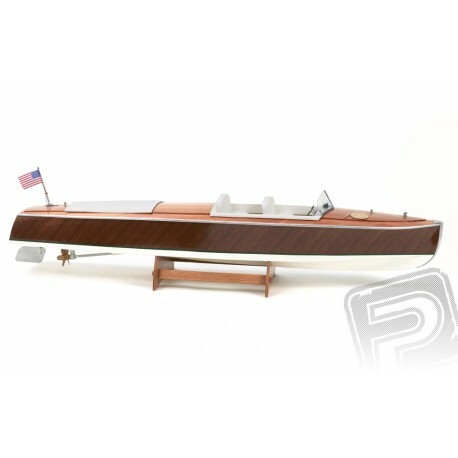 Today the company manages the third generation billing and floating RC models and mock-leafing table still represents the ultimate in marine modeling. The mock US-34 trace the fast motor boat from the 20s of the twentieth century. A ship of this type were used as racing boats or transport of movable owners, Hollywood stars and other glitterati between the port and larger yachts. This also corresponds to the abundant use of mahogany and teak in the ship's structure, chromed metal parts, luxuriously padded leather seats and other posh accessories. Kit in 1:15 scale is designed for beginning or slightly advanced ship builders. Phantom has a hull design with classic wooden picket hull and wooden deck. The kit includes all the plastic and wooden parts needed to complete the model, dummy accessories, marine shaft sleeve and the propeller. To drive model includes a DC motor range from 400 to 500, at least 20-30 A bidirectional controller (depending on engine), an articulated 6 NiMH or 2S LiPo battery with a capacity of 3 to 5000 mAh. For basic operation, in principle, sufficient even the most ordinary two-channel radio system; to control the rudder servo meet the current standard.